Honey bees not only produce honey, but play a vital role in the balance of nature, especially the pollination of agricultural crops, horticultural crops and the house garden. Pollination is important for the viability of many pastoral enterprises, market gardens, orchards and seed industries. Many of our favourite foods such as apples, avocados, stone fruits, melons and citrus fruits are either highly dependent on, or greatly benefit from, honey bee pollination. In fact, around 65% of agricultural production in Australia depends on pollination by the European honey bee. Pollination services to Australian horticulture and agriculture were valued at $1.7 billion per annum in 1999-2000 for the 35 most important honey bee dependent crops. Beekeeping is becoming increasingly popular in towns and cities throughout for home consumption, enjoyment in watching these highly social creatures and the opportunity to join an amateur beekeeping group. However, honey bees possess a sting and therefore require proper and responsible management so they do not create a problem for neighbours. a minimum standard with which beekeepers should comply. It is intended that this Code forms the prescription for harmonious cooperation between beekeepers and other land occupiers in Tasmania. The aim of the Code is to ensure that the keeping of honey bees does not have a negative impact on people, property, domestic animals or native flora and fauna. 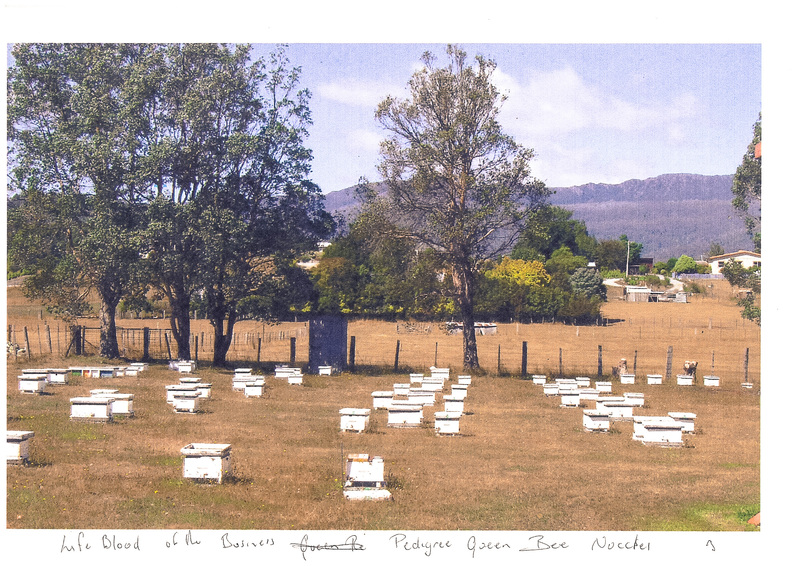 This Code provides advice for the management of beehives which incorporates a standard by which beekeepers operating in Tasmania are expected to comply. As such it is to be used by apiarists, decision making authorities and the general public. Observation of this Code and recognition of honey bee habits by apiarists and decision making authorities will enable consistent and speedy evaluation of the suitability of potential sites for apiaries. This Code provides a number of requirements which if complied with, enable beekeeping to be conducted in Tasmania without a planning permit. Should a planning permit be required by a local authority, this Code provides a consistent approach for consideration of the application and the resolution of contentious issues. Expert apicultural personnel from Tasmania’s Department of Primary Industries, Parks, Water and Environment (DPIPWE) may be called upon to offer advice. Not all contingencies can be anticipated, but equitable resolution of contentious issues is considered possible by using this Code’s guidelines. If a complaint is lodged with a local council, and clearly the beekeeper is not abiding by the Code or by planning requirements in relation to an apiary (excluding crown land), council authorities will take appropriate action.